Our history and achievements form the basis for our strong tradition of excellence in education and research in computer science. 1946 UI faculty attempt to build a computer that can play checkers. ENIAC (Electronic Numerical Integrator And Calculator) is built at the University of Pennsylvania. 1948 John von Neumann, a pioneer in computer design at the Institute for Advanced Study in Princeton, New Jersey, suggests that the Illinois research group build a computer. J. Robert Oppenheimer gives Illinois permission to build a copy of von Neumann's proposed machine. - John Bardeen co-invents the transistor at Bell Telephone Laboratories, for which he wins the Nobel Prize in 1956. He would become professor of physics and electrical engineering at the University in 1951. 1949 The U.S. Army and the University of Illinois jointly fund the construction of two computers, ORDVAC and ILLIAC (ILLInois Automated Computer). The Digital Computer Laboratory is organized. Ralph Meagher, a physicist and chief engineer for ORDVAC, is head. 1951 ORDVAC (Ordnance Variable Automated Computer), one of the fastest computers in existence, is completed. 1952 ORDVAC moves to the Army Ballistic Research Laboratory in Aberdeen, Maryland. It is used remotely from Illinois via a teletype circuit up to eight hours each night until the ILLIAC computer is completed. 1952 ILLIAC, the first computer built and owned entirely by an educational institution, becomes operational. It was ten feet long, two feet wide, and eight and one-half feet high, contained 2,800 vacuum tubes, and weighed five tons. 1955 A four-bit prototype transistorized computer is constructed. 1957 UI faculty demonstrate a flip-flop 10 times faster than any other design in use. 1958 Professor James E. Robertson, an electrical engineer and expert in error-checking systems, pioneers basic techniques of efficient binary division. The SRT division algorithm, now found both in hardware and software implementations of the divide instruction and widely used in the most powerful microprocessors, is named after D. Sweeney, Robertson, and T.D. Tocher, who independently invented the method at about the same time. 1961 UI faculty demonstrate advanced "virtual load" circuits with one nanosecond rise and fall times. - Using the ILLIAC as a computational engine, UI faculty introduce PLATO, the nation's first computer-assisted program of instruction. PLATO, conceived by physics professor Chalmers Sherwin and developed under the direction of electrical engineering professor Don Bitzer, co-inventor of the plasma display panel, was the world's first time-shared computer-based education system as well as the home of the first on-line community. - By 1987, the PLATO network would offer more than 12,000 instructional hours in some 100 subjects to on-campus terminals and others scattered across the globe. 1962 ILLIAC II, a transistorized computer 100 times faster than the original ILLIAC, becomes operational. ACM Computing Reviews says of the machine, "ILLIAC II, at its conception in the mid-1950s, represents the spearhead and breakthrough into a new generation of machines." 1963 A pattern recognition computer, being designed at Illinois since 1960, becomes the ILLIAC III project. The machine was to analyze bubble chamber photographs of high-energy particle events. - Professor Donald B. Gillies discovered three Mersenne prime numbers while testing ILLIAC II, including the largest then known prime number, 2**11213 -1, which is over 3,000 digits. 1964 The Digital Computer Laboratory is reorganized as the Department of Computer Science, and John Pasta becomes its head. Pasta, a physicist, had previously worked at the Los Alamos Scientific Laboratory (now Los Alamos National Laboratory) and the Atomic Energy Commission. 1965 The University of Illinois, DARPA, and Burroughs collaborate on the development of the ILLIAC IV, the largest and fastest computer in the world. The ILLIAC IV project, headed by Professor Daniel Slotnick, pioneers the new concept of parallel computation. Slotnick had worked under John von Neumann at Princeton. ILLIAC IV was a SIMD computer (single instruction, multiple data) and it marked the first use of circuit card design automation outside IBM. It was also the first to employ ECL (Emitter-Coupled Logic) integrated circuits and multilayer (up to twelve layers) circuit boards on a large scale. Most notable was its use of semiconductor memory. - The department's undergraduate degree program in mathematics and computer science is established in the College of Liberal Arts and Sciences. 1966 A graduate degree program in computer science is established in the Graduate College. - Gene Golub (BS Math '53, MA Stats '54, PhD Math '59), creator of the singular value decomposition (SVD) algorithm, helps found the Computer Science Department at Stanford University. 1967 Our first PhD is awarded (to Thomas Slivinski), and our first MS is awarded (to Dugald Henderson). 1969 Clarence Ellis becomes the first African-American to receive a PhD in computer science. 1970 Professor C. W. Gear develops the first successful general program for solving stiff differential equations. - Professor James Snyder, a physicist and programmer for ILLIAC I, becomes head of the Department of Computer Science. 1971 The department's undergraduate degree program in the College of Engineering is approved by the Board of Trustees in September. At the same time, a bachelor's degree administered by the Department of Electrical and Computer Engineering, "Electrical Engineering and Computer Science" is renamed to "Computer Engineering." 1972 UI Professor John Bardeen wins a second Nobel Prize in physics for developing the theory of superconductivity. - The department's undergraduate degree program in computer science is established in the College of Engineering. 1973 C. L. Liu and J.W. Layland develop the rate-monotonic scheduling algorithm, the theoretical basis of modern methods and tools for predicting the timing behavior of multiprogrammed real-time systems. - PLATO's communications features bloom. Its system of personal notes and an early form of e-mail (written by student Kim Mast), and group notes, a form of groupware (written by student David Woolley) were precursors of today's electronic community. Later, alumni Steve Dorner (Eudora email program) and Ray Ozzie (Lotus Notes groupware) will commercialize and popularize features introduced with PLATO. 1974 ILLIAC IV becomes operational at the Institute for Advanced Computation, Moffett Field, California. 1975 Illinois is awarded UNIX license number one by Bell Laboratories. Graduate student Greg Chesson becomes the third person to contribute to the Bell Labs UNIX kernel. 1976 Illinois researchers use computers to prove the four-color theorem, a long-standing conjecture in graph theory. 1977 Professor Roy Campbell develops PATH Pascal, a language for expressing concurrency. - Professor David Kuck and his co-workers introduced dependence graphs and analysis and transformation techniques for the computation and manipulation of these graphs. This extraordinarily influential work enables many of today's program optimization algorithms, especially those for parallelism exploitation and locality enhancement. 1978 University of Illinois Library, the largest public university library in the country, is among the first to provide public on-line access to a major collection. 1981 The National Science Foundation grants the Department of Computer Science $4.2 million to develop a major new departmental research computing facility. 1982 Department of Computer Science ranks first in the nation in influence of publications. 1983 The Illinois Cache Coherence Protocol, developed by Janek Patel in 1983, became the standard IEEE MESI standard and is used today by virtually all cache coherent shared memory multi-processors. 1985 NASA funds the establishment of the Illinois Center of Excellence in Aerospace Computing (ICLASS). - Professor C. William Gear becomes head of the computer science department. Gear was a pioneer in automatic numerical methods. In addition to writing the operating system for ILLIAC II, he created a groundbreaking method for solving stiff ordinary differential equations on digital computers and wrote a landmark computer program for the automatic integration of ordinary differential equations. - Construction of a hierarchical shared-memory supercomputer called Cedar begins, led by Professor David Kuck. This SMP (symmetric multiprocessing) system embodied advances in interconnection networks, control unit support of parallelism, optimizing compilers and parallel algorithms and applications. - The National Science Foundation establishes the Center for Supercomputing Research and Development (CSRD) and the National Center for Supercomputing Applications (NCSA), making the University of Illinois at Urbana-Champaign the nation's only university campus with two supercomputing centers. 1986 NCSA Telnet software written by computer science students Gaige Paulsen, Tim Krauskopf, and Aaron Contorer, allows users to access remote hosts from their desktops. 1988 National Science Foundation funds CISE Institutional Infrastructure grant for the Tapestry Project to build a heterogeneous parallel system. - The Supercomputing Research and Development complete construction of Cedar. - The department's undergraduate degree program in statistics and computer science is established in the College of Liberal Arts and Sciences. 1989 Beckman Institute for Advanced Science and Technology opens. This major multidisciplinary institute is devoted to basic research in physical sciences and engineering and in life and behavioral sciences. 1990 Duncan Lawrie, who designed and implemented the first high-level language for ILLIAC IV and who was a principal architect of Cedar, becomes head of the Department of Computer Science. - Eudora, one of the world's most popular e-mail programs, is released by CCSO programmer and computer science alumnus Steve Dorner. 1991 Professor Herbert Edelsbrunner becomes the first computer scientist to win the NSF Alan T. Waterman Award for his fundamental contributions to computational geometry. 1992 The Whole Internet, the first user's guide to the Internet, is written by CCSO programmer and computer science alumnus Ed Krol. 1993 NCSA develops Mosaic and sparks the World Wide Web revolution. Most of the development was done by computer science students and alumni, including Marc Andreessen and Eric Bina. - PERTS (Prototyping Environment for Real-Time Systems), a system of analysis, validation, and simulation is developed under the direction of Professor Jane Liu. 1995 NCSA aids the White House, the City of Chicago, and others in establishing their World Wide Web sites. UI is selected as one of six test sites for the National Science Foundation's Digital Library Project. The Illinois project is designed to improve users' ability to search and retrieve electronic information. - UI Library selected as one of seven participants in the Museum Educational Site Licensing Project funded by the Getty Art History Information Program. The project will provide 6,000 digitized images and descriptive texts from the collections of six U.S. museums. - The Scalable I/O Initiative, Professor Dan Reed as co-leader, is launched to improve I/O performance on teraflop systems (10**12 operations per second). 1996 Illinois researchers treat microchips with deuterium extending chip life as much as 50 times. - Professor Dan Reed becomes head of the Department of Computer Science. Reed created the Pablo performance analysis environment, the first program to analyze the efficiency of parallel processing computers. - Professor Roy Campbell and computer science students See-Mong Tan and Zhigang Chen co-invent Vosaic, a system for delivering real-time, continuous media, such as video and audio, on the Web. 1997 NCSA and the Department of Computer Science anchor the NSF Partnership for an Advanced Computational Infrastructure, a five-year effort to create a high-performance computing and networking infrastructure for the next century. - The first version of the OpenMP API is released, with Professor David J. Kuck and his company, Kuck & Associates (KAI), as major contributors. - HAL is born. Arthur C. Clarke writes in his book 2001: A Space Odyssey: "I am a HAL Nine Thousand computer, Production Number 3. I became operational at the HAL Plant in Urbana, Illinois, on January 12, 1997." - An operating system supplied by Wind River, a company co-founded by CS alumnus Jerry Fiddler in 1981, powers the Mars Pathfinder Lander. 1999 Alumnus Thomas M. Siebel donates $32 million towards the new state-of-the-art building to be named Thomas M. Siebel Center for Computer Science. 2000 CS alumnus Max Levchin founds PayPal, allowing payments and money transfers to be made via the Internet. At PayPal, Levchin created one of the first commercial applications of a CAPTCHA. Many early PayPal alumni went on to found major companies, including Slide, Yelp, IronPort Systems, Facebook, and LinkedIn. - Professor Dan Reed becomes Director of the National Center for Supercomputing Applications (NCSA) and the National Computational Science Alliance. Under his tenure, NCSA deployed two 1 teraflop commodity Linux clusters, demonstrating that such machines could deliver reliable, high-quality service to the scientific community. Subsequently, the National Science Foundation funded Teragrid, with Reed as co-PI and chief architect. - Intel purchases Kuck & Associates, which had become a worldwide leader in developing parallel software tools and compiler technologies after it was founded by Professor David J. Kuck in 1979. 2001 Marc Snir becomes head of the Department of Computer Science. Snir, an expert in parallel computing, had been with IBM T. J. Watson Research Center since 1986 as a senior researcher and was the project lead for IBM's Blue Gene System. 2003 First public release of the LLVM Compiler Infrastructure, developed by doctoral student Chris Lattner and Professor Vikram Adve. 2004 Moved into Thomas M. Siebel Center for Computer Science. 2005 Two Illinois CS alumni create YouTube, a video sharing website. In 2006, they sold the company to Google for $1.65 billion. 2006 Oracle Corporation completes its acquisition of Siebel Systems, a leading provider of customer relationship management software founded by alumnus Thomas M. Siebel, for $5.8 billion. 2008 With funding from Microsoft and Intel, Illinois launches a $18 million research center to bring parallel computing concepts to mainstream devices and applications. The Universal Parallel Computing Research Center is the first of its kind to study parallelism in mainstream computing. UC-Berkeley hosts a 2nd UPCRC center. - Illinois is chosen to build the world's first sustainable petascale computing facility. The Blue Waters project will provide a computational system capable of sustained petaflop performance on a range of science and engineering applications. - First release of the award-winning Malwarebytes Anti-Malware software by then undergraduate computer science student Marcin Kleczynski. 2009 MyMiniLife, Inc., a start-up by four CS alumni, is purchased by social game maker Zynga. FarmVille, a game based on the MyMiniLife engine, launched soon after, eventually becoming the most popular game on Facebook with over 200 million registered users. 2010 Rob A. Rutenbar, an expert on algorithms and software tools for custom circuit synthesis, becomes department head. A faculty member at Carnegie Mellon University since 1984, Rutenbar had also co-founded Neolinear Inc. and the Silicon Vox Corporation, commercializing his research. 2012 The LLVM Compiler Infrastructure is recognized with the ACM Software System Award after becoming widely used in both commerical products and computer science research. - Illinois researchers, led by Professors Jose Meseguer and Samuel T. King, formally verify the IBOS secure browser design using Maude, an implemenation of rewriting logic, thought to be the first time that a browser had been fully verified. - CS alumni Scott Maxwell and Jeff Biesiadecki program the movements of Curiosity, the Mars exploration rover, across the Martian surface. 2013 The Blue Waters supercomputer completes testing, debuting at 11.6 petaflops in March. By August, it had been upgraded to 13 petaflops. - Illinois researchers determine the structure of the HIV capsid using Blue Waters and NAMD simulation software written using Professor Lamikant Kale's Charm++ parallel programming system. - The CS + X interdisciplinary degree program is approved, with the first freshmen arriving in Fall 2014. Initial offerings: CS + Anthropology, CS + Astronomy, CS + Chemistry, and CS + Linguistics, all in the College of Liberal Arts and Sciences. - CS sees a record number undergraduate applications for Fall 2014 -- more than any other department in the history of the College of Engineering. 2014 Professor Steven LaValle returns to Illinois after two years working as principal scientist for Oculus VR, makers of the Oculus Rift virtual reality headset, which had been recently acquired by Facebook for $2 billion. 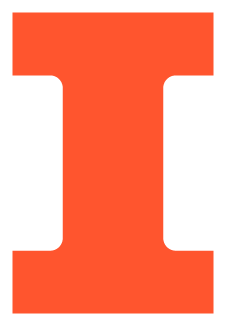 - CS undergraduates launch HackIllinois, a 36-hour competition showcasing participants' programming and creative skills, attracting hundreds of students from across the country. 2016 The Master of Computer Science Data Science degree track is launched in partnership with Coursera. 2017 CS + Crop Sciences (in the College of Agricultural, Consumer and Environmental Sciences) and CS + Music (in the College of Fine and Applied Arts) are approved, with the first freshman arriving in Fall 2018.